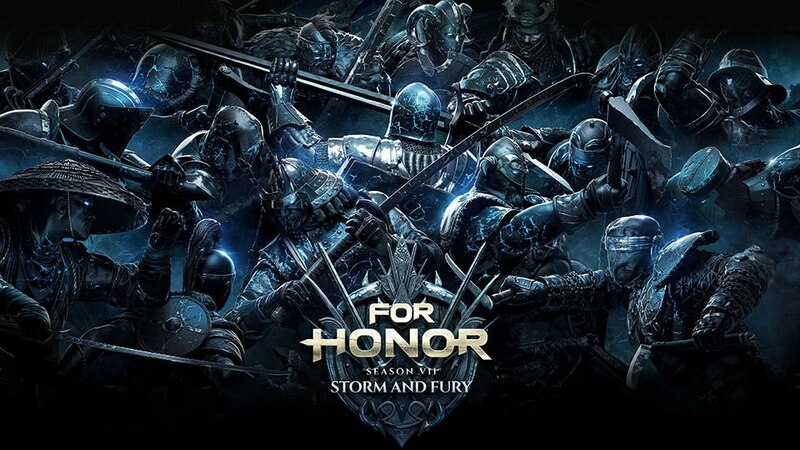 The 7th season for For Honor has begun. Called Storm and Fury, the update brings new gameplay changes, a new map called Secluded Keep, 2 hero reworks, and updates to ranked play. The Warden and Valkyrie have been reworked, the complete patch is available below. [Adjustment] 2nd Top Light strike is now 400ms. (from 500ms). [Adjustment] Increased “Sweep Punish” damage to 35 (from 25). [Adjustment] Increased Zone Attack strikes damage to 20 (from 15). [Bug Fix] Movement during a missed Guard Break has been standardized to be like all other heroes. Developer comment:Based on community feedback from the Technical Test, we have included a couple of adjustments. The intention here is to ensure that her Chain is sufficiently dangerous, and increasing the potential of her 2nd Light, as well as the “Sweep Punish” should help with that. Also, by fixing the issue with her Guard Break Miss Recovery, that your feedback brought attention to, she should no longer be more likely to be punished for missing a Guard Break than any other hero. [Improvement] Gladiator’s “Crowd Pleaser” and “Bee’s Sting” Blocked recoveries are reduced to 800ms (from 900ms). Developer comment: These moves will no longer lead to a Guard Break that could not be countered on Block. [Bug Fix] Fixed an issue that caused the Gladiator's "Sucker Punch" to not drain stamina. [Bug Fix] Increased the time it takes to Revive another players to 4 seconds for all PvP game modes, excluding time-limited events. For real this time! Developer comment: This change was supposed to be activated with 1.25.0 but it wasn't, due to a bug, so we're activating it now. [Bug Fix] Fixed an issue that caused the Valkyrie’s “Bloodlust” feat to not activate properly after defeating an opponent. [Bug Fix] Fixed an issue that caused the Gladiator's "Sucker Punch" to not do damage while the "Haymaker" feat is active. [Bug Fix] Fixed an issue that caused the “Breaking” timer to be display during the whole match in Duels, Brawls, Skirmish and Elimination. Developer comment: With 1.25.0 we introduced a bug that caused the "Breaking" timer to be displayed when it shouldn't, the superfluous timer is now gone! For Honor is now available for Xbox One, PS4, and PC.